Limited edition POWER boosting superPOWER set! For this set we chose MIYA bestseller products, which improve moisturisation, add energy and glow, reduce signs of fatigue, and even make your skin firmer and smoother! superPOWER is an amazing trio of products with concentrated active ingredients that work miracles. It is indispensable in everyday skincare routine and will provide an extra dose of energy and strength that you can use any way you want. It’s a must-have for every woman, who has the power – with this set additionally enhanced with antioxidants, natural oils, extracts and vitamins! myPOWERelixir – natural serum, which restores skin’s power and glow. Winner of In Style Best Beauty Buys 2017.
mySUPERskin – makeup remover and cleansing oil that removes even out-of-this-world makeup! Effective, fast, quick and with raspberry scent and fully natural formula! myBEAUTYessence Coco BeautyJuice – active moisturisation with the combination of thermal water with coconut extract, aloe vera, vitamins and hyaluronic acid. Result? Your skin will be perfectly cleansed, moisturised, regenerated, full of energy and natural glow. Visibly younger, without signs of fatigue, firm and smooth! Apply mySUPERskin oil on dry skin and massage it gently with your fingertips to make makeup removing easier. Rinse off with warm water to remove 100% of makeup and impurities. On cleansed skin spray 1-2 doses of Coco BeautyJuice essence to provide your skin with extra moisturisation. 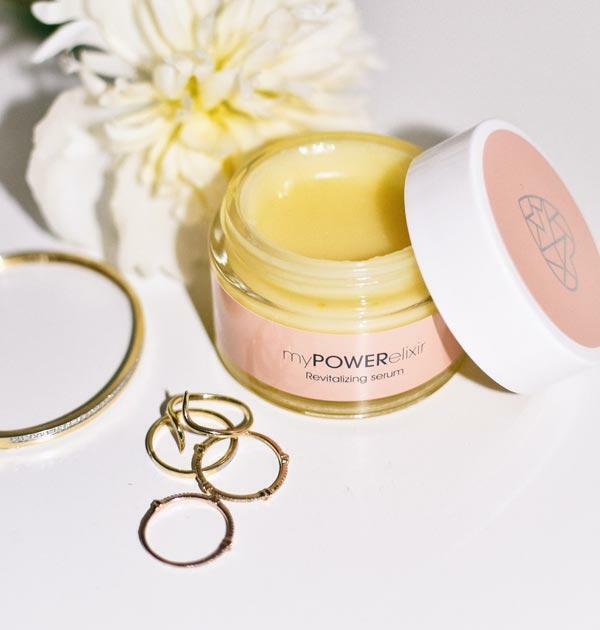 You can use myPOWERelixir as a serum – gently warm it up in your hands and pat in with your fingertips; or as a mask – apply a thicker layer, gently patting in. Suitable for all skin types, including sensitive skin (doesn’t apply to people allergic to any of the ingredients of the given product). Before using a new cosmetic, apply a small amount on a small patch of skin to see how your skin reacts to it. Not tested on animals. 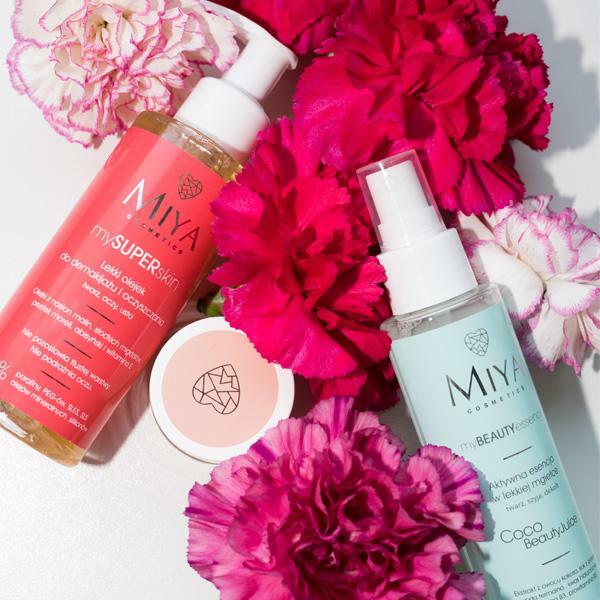 mySUPERskin and myBEAUTYessence are vegan products. myPOWERelixir is not vegan as it contains beeswax.